Tappeto a 2 pezzi Animal Print. - Muffa alla prova e facile da pulire. Tappeto a 2 pezzi Animal Print. - Per evitare lesioni ai bambini a casa, supervisionare il bambino, creare un ambiente sicuro. Noi non siamo responsabili di alcuni indirizzi errati o inesistenti. Soft Faux Carpet Animal Skin Printed Fur Rug Hide Rug Non-slip Mat BullWas21.62 x 1 Price:12.97 X 1. Tappeto a 2 pezzi Animal Print. - Per evitare lesioni ai bambini a casa, supervisionare il bambino, creare un ambiente sicuro. Noi non siamo responsabili di alcuni indirizzi errati o inesistenti. - Materiale: poliestere. Animal Skin Print Rug/Area Rug 86x55cm Animal Hide Carpet CattleWas19.00 x 1 Price:11.40 X 1. 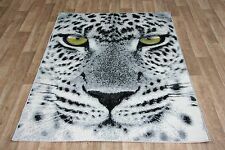 Animal Skin Print Rug/Area Rug 86x55cm Animal Hide Carpet LeopardWas19.00 x 1 Price:11.40 X 1. Tappeto a 2 pezzi Animal Print. Bezeichnung: Nimbaft. Fußbodenheizung: Geeignet. Seit 1977 Fachgeschäft für erlesene Teppiche. Teppichhaus Banahan. Spezialedelreinigung auf Bio-Basis. Flor: Schurwolle. Die Materialien wurden nachhaltig produziert und mit viel Liebe zum Detail zu einem Unikat verwandelt. Condizioni di Vendita. DIRITTO DI RECESSO. MPN: RUG020/160. Produttore: Aspect. Size: 70 x 140cm approx. The rugs look great on the floor however can also be used to drape over furniture. Colour: snow leopard print. Ideal for laminate and wooden floor surfaces. Hand or machine wash at 40 degree. Animal Skin Print Rug/Area Rug 86x55cm Animal Hide Carpet WolfWas19.05 x 1 Price:11.43 X 1. Animal Skin Print Rug/Area Rug 86x55cm Animal Hide Carpet LeopardWas19.05 x 1 Price:11.43 X 1. Tappeto a 2 pezzi Animal Print. Size: 70 x 100cm approx. The rugs look great on the floor however can also be used to drape over furniture. Colour: snow leopard print. Ideal for laminate and wooden floor surfaces. Material: 70% acrylic 30% modacrylic. Dem Staubsauger entfernbar als bei langflorigen Teppichen. Durch den Kurzflor gibt es zudem kaum Faserflug. Natürlich sind diese Fellteppiche. Sie sind robust und pflegeleicht, Verschmutzungen sind hier leichter mit. Design Bea Åkerlund. enthält keine animalischen Stoffe - eine gute Wahl für Vegetarier und Veganer. - sehr flach - günstig vor Türschränken,Schmutz ist kaum zu sehen durch das Muster. - wir sind ein gepflegter tierfreier Nichtraucherhaushalt! Size: 80cm x150cm. Colour/Print: Grey Black White Leopard Print. Easy to clean and maintain - Just a simple scrub or use a carpet cleaner. Colour fast treated - Resistant to fading from the sunlight. Pictures are for guidance only - Actual colour may vary depending on monitor settings. Beige/brown leopard design rug. Ideal for kids study/bedrooms bedrooms and animal lovers. Bleach cleanable. Beige/brown leopard design rug. Ideal for kids study/bedrooms bedrooms and animal lovers. Soft to touch and bound all 4 sides giving the rug a quality look. Made from durable polypropylene material. Made from 100% Polypropylene this rug is stain resistant, easy to clean and will add a contemporary twist to any room. Material: 100% Polypropylene with Hessian Style Backing Belgium made rug with a hard wearing yet soft touch. Beige/Black Rug with a leopard on a tree trunk. Ideal for kids study/bedrooms bedrooms and animal lovers. Soft to touch and bound all 4 sides giving the rug a quality look. Made from durable polypropylene material. Mettere il vostro elmo pith, saltare nel rover e preparatevi a fare un safari! Questo tappeto di pelle di leopardo decorativo in poliestere è perfetto per quelle immagini popolari del bambino che tutti abbiamo visto crescere; Sai quelli che sto parlando! Questo tappeto morbido, peluche e selvaggio è 43 pollici lunghi e 27.5 pollici di larghezza. Ideal for kids study/bedrooms bedrooms and animal lovers. Soft to touch and bound all 4 sides giving the rug a quality look. Open link-. Square boxes black african/safari design. Made from durable polypropylene material. Beige/brown leopard design rug. Ideal for kids study/bedrooms bedrooms and animal lovers. Soft to touch and bound all 4 sides giving the rug a quality look. Moth proof. Weicher Teppich im Leoparden-Look. Pflegehinweis: Regelmäßig absaugen. handgefertigt aus reiner Neuseelandwolle. Material: 100% Neuseelandwolle. Bilancio a buon mercato africano Safari Nero Zebra / Leopardo SMALL MEDIUM MAT TAPPETO 70x140 cm.